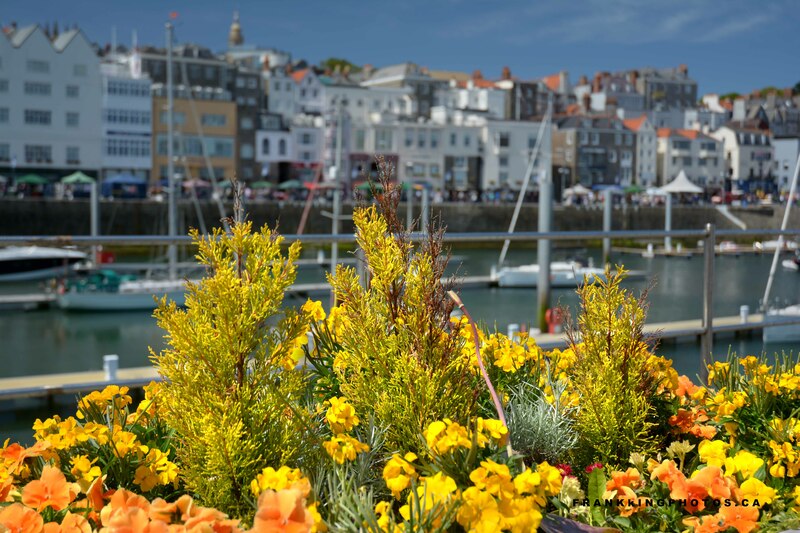 I had most of a day to explore the capital city of Guernsey island, a charming UK protectorate off the coast of France. Flowerboxes like this are near the dock where I arrived and left from our cruise ship. I went for a shallow depth of field, so the background would complement, rather than compete, with the flowers.